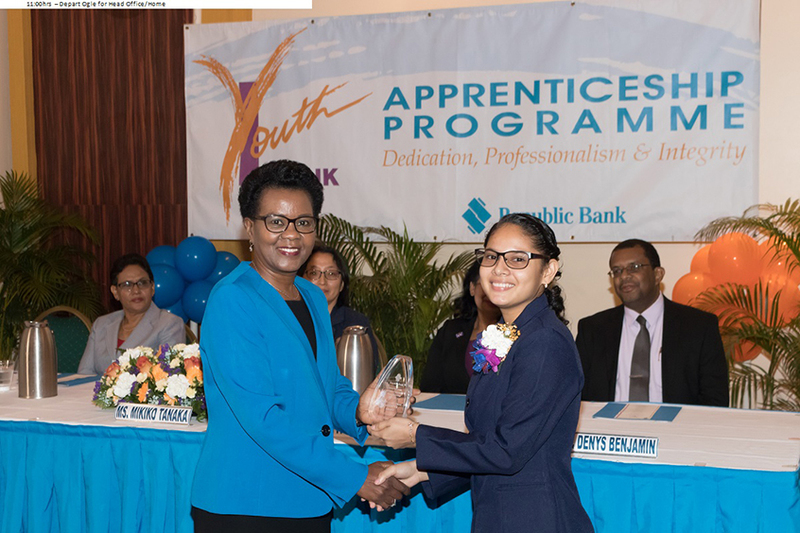 The 10th edition of the Republic Bank (Guyana) Limited Youth Link Apprenticeship programme saw fourteen young men and women being provided with the necessary training, coaching and tools to become part of the work environment. They were attached to various branches across the Bank’s Network from October 2017 to May 2018. 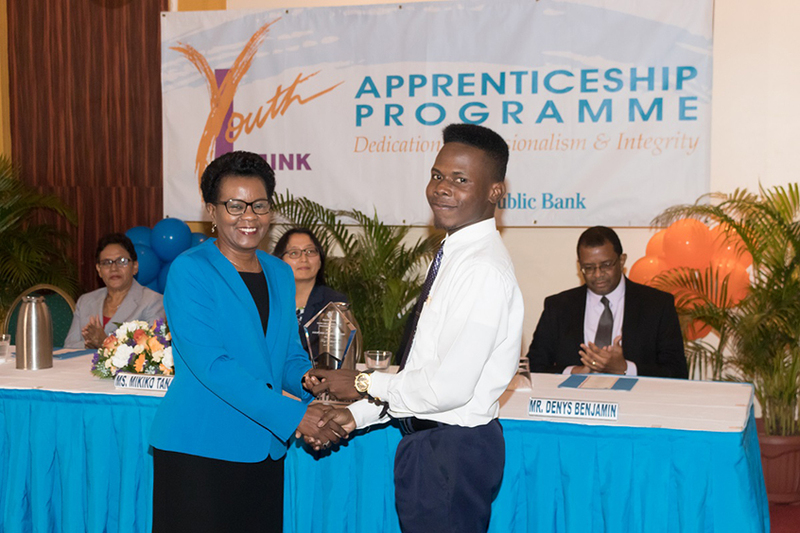 The Apprentices gained knowledge in several areas of banking operations, were involved in the preparation of a Business Proposal and benefited from an Effective Presentation Session where they presented to a panel of judges on selected topics. As part of the seven month programme, the Apprentices also participated in a community outreach initiative at the Ptolemy Reid Rehabilitation Centre where they were exposed to the activities executed by the Centre followed by an interactive session on First Aid facilitated by the Guyana Red Cross Society. Their Field Trip was held on May 12, 2018 where they enjoyed a guided tour along the Essequibo River, with stops at Fort Island, Bartica and the Baganara Island Resort. 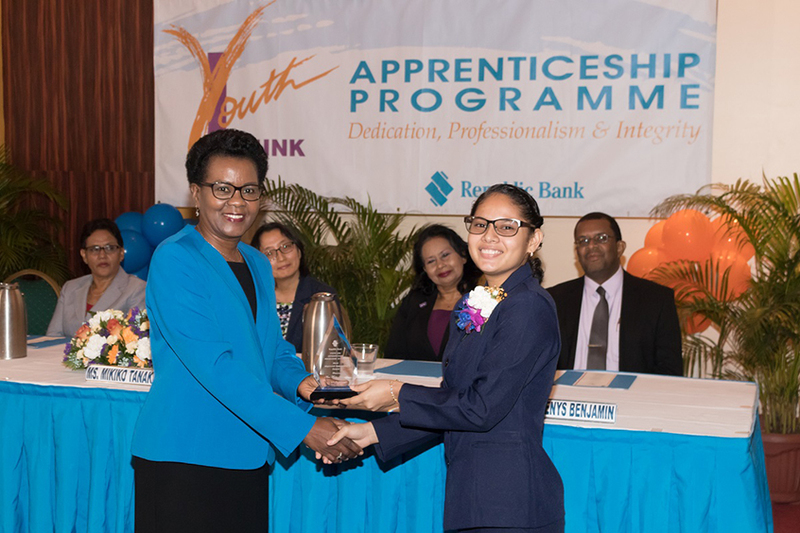 During the programme, the Apprentices are continually evaluated on their performance in several areas by a team of Republic Bank (Guyana) Limited Assessors, trained by the Council for Technical and Vocational Education and Training. 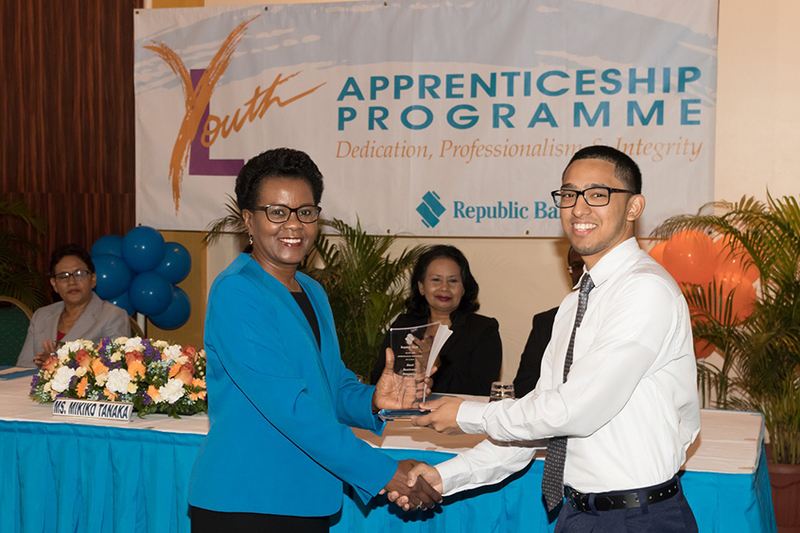 Having completed the Apprenticeship Programme, the Apprentices will receive the Caribbean Vocational Qualification (CVQ) from the Caribbean Association of National Training Agencies (CANTA) in Banking Operations Level One. 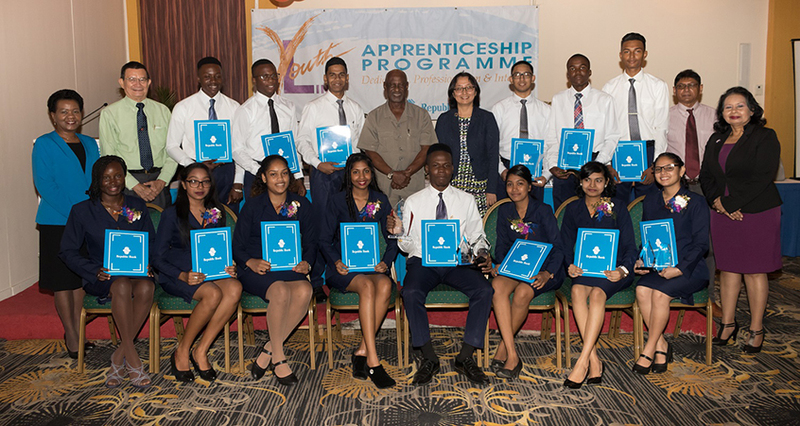 With this qualification the Apprentices will be eligible for jobs within the CARICOM Region. The Graduation Ceremony was held at the Pegasus Hotel, Seawall Road, Kingston, Georgetown on June 27, 2018 where Ms. Mikiko Tanaka, Resident Coordinator – United Nations, delivered the Motivational Address. 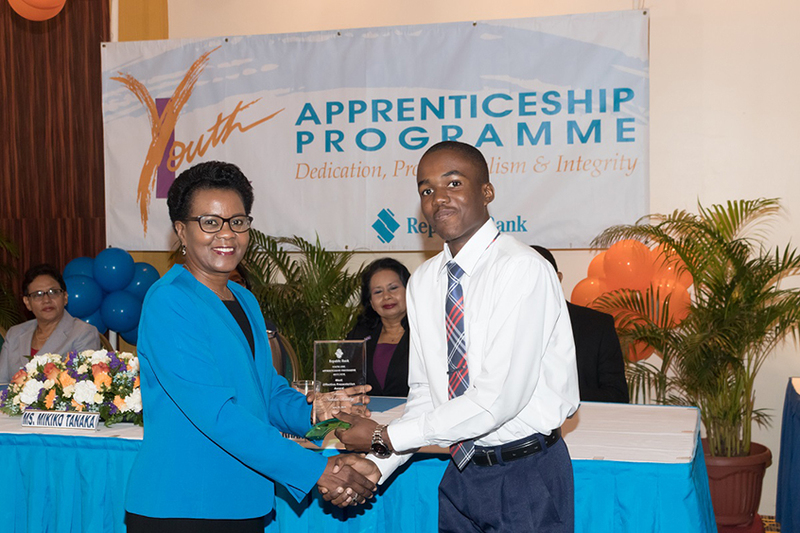 The Youth Link Apprenticeship Programme was first introduced in Guyana in 2008 primarily to bridge the gap between the end of the participants’ school life and the start of their careers.